If you need to switch off from city life, this is the place to go. The Burrow is a small little world of its own. It reminds me of my favorite story book from enid blyton and laura ingals wilder. Close your eyes and you will hear at least 10 different birds singing, the water splashing by running ducks on the little lake, and the whispering sounds from the tree. The owner, Sue and Bill has proven that dreams do come true. Lovely, quiet, relaxing experience. Sit on the verandah and chill out watching the birds on the lagoon. The hosts, Bill and Sue, are lovely, welcoming people. You will come away more grounded and ready to face the world again. The environment was tranquil, serene and stunningly beautiful. The hosts were warm, kind and intelligent. 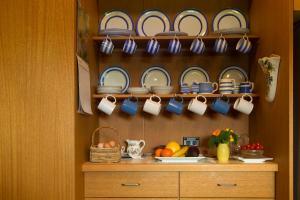 The accommodation was cosy, spotless and tastefully decorated and amenities plentiful. We loved every second of our stay and wouldn’t hesitate to recommend. Amazing place to stay for relaxation. So quiet. Lots of reading material. Fabulously clean bathroom. Super comfy bed. Such a cosy little home. So much wildlife everywhere. It’s beautiful. The Fridge full of fresh food for breakfast. Lots of fruit crackers chocolates on offer for snacks. We went to Dixon’s creek cafe bar and grill for dinner which Sue kindly booked for us and it was the best dinner we ever had. Steak and salmon were superb. No faults. Thank you Sue. It was absolutely wonderful! Amazing wildlife, beautiful place and very comfy. The new bathrooms was so clean and spacious and our breakfast and nibbles on offer were the best we’ve ever had in an b&b! 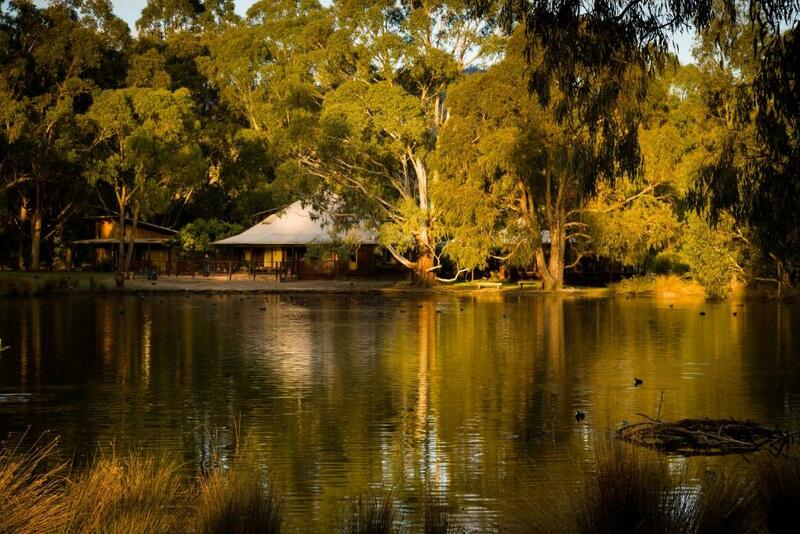 Being immersed in an authentic Australian landscape and very comfortable accommodation, very peaceful. Cabin was very cosy with everything you could ever need. Felt like a home. Absolutely beautiful property, people...and dogs! Wonderful place to stay if you want a lovely and peaceful holiday. The house is lovely and exactly the same as shown in the pics. Friendly and warm hosts. 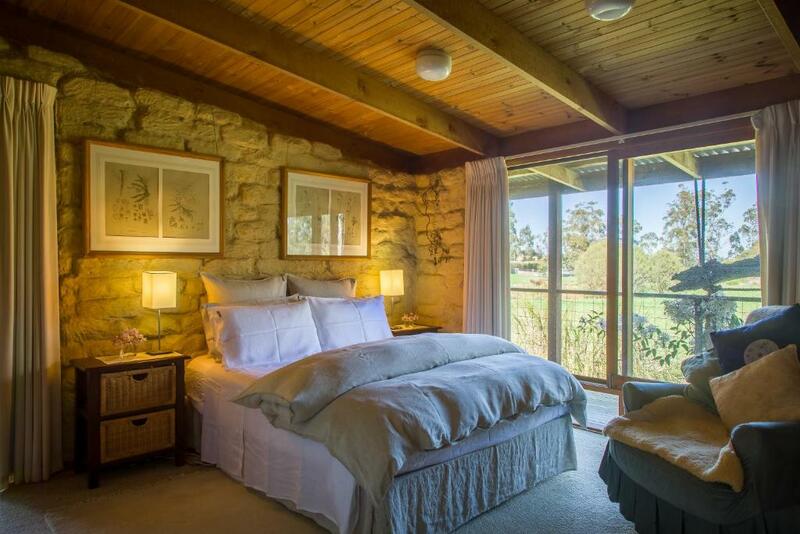 Lock in a great price for The Burrow at Wombat Bend – rated 9.7 by recent guests! The Burrow at Wombat Bend is located in Dixons Creek. The villa, set in a building dating from 1980, has free WiFi. The villa comes with 1 bedroom, a living room, a fully equipped kitchen with a dining area, and a bathroom. A flat-screen TV is offered. The villa has a sun terrace. Guests can relax in the garden at the property. Olinda is 25 miles from The Burrow at Wombat Bend, while Emerald is 31 miles from the property. 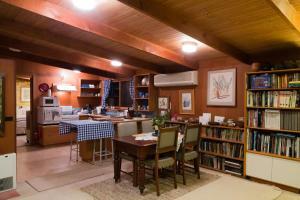 The nearest airport is Tullamarine Airport, 42 miles from the accommodation. 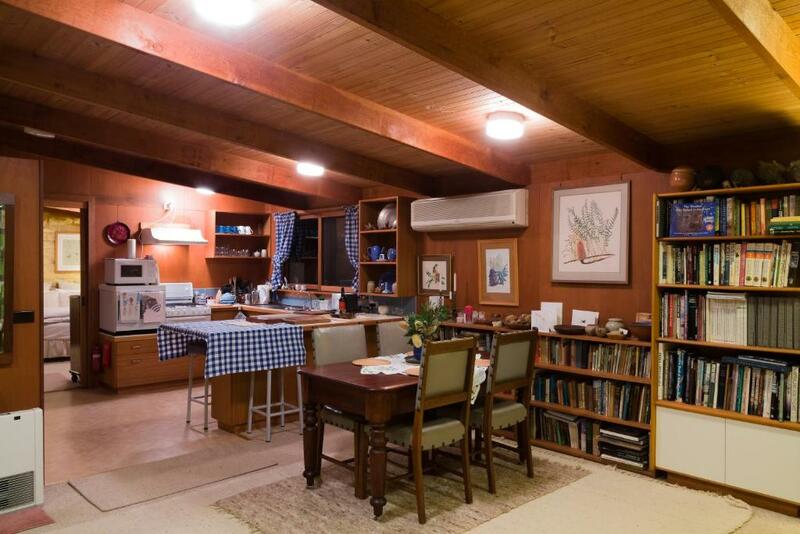 When would you like to stay at The Burrow at Wombat Bend? Our property, Wombat Bend, is a special place. It is a natural sanctuary that offers our guests a retreat from stress and 'busyness', a chance to step back and connect with nature. 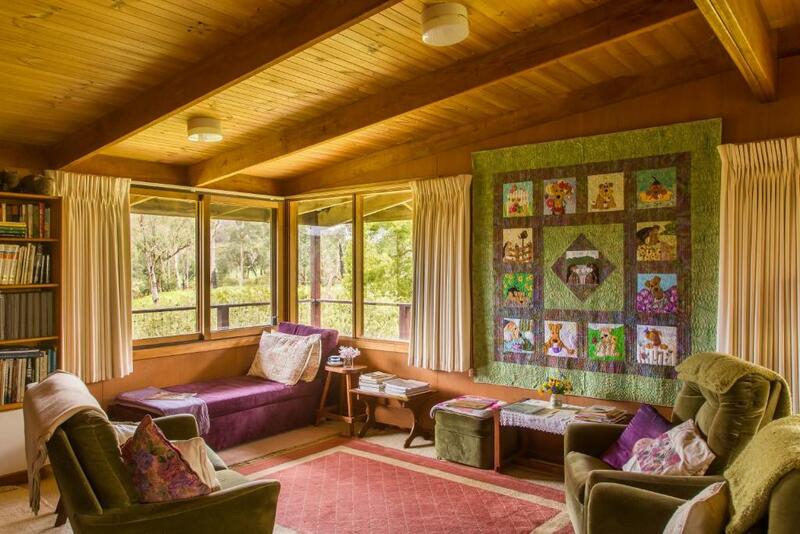 The Burrow is your own private space within Wombat Bend, calm, quiet, comfort-driven and filled with peace. You'll watch the light change over the billabong, hear the frog chorus at night, watch the birds go about their lives, and breathe fresh clean air. And from the moment you arrive, you won't miss the rest of the world one little bit. You just won't want to leave. We're a couple devoted to the world of nature ... our lives focus on managing a sustainable life style that we can share with like-minded guests. 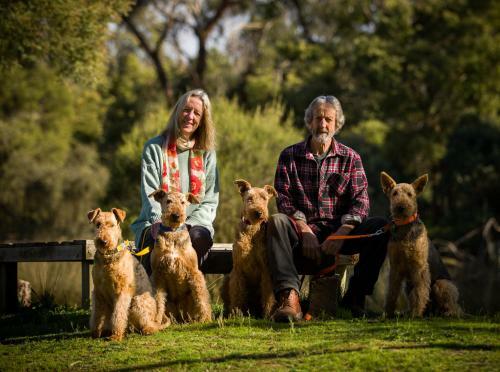 We value our wildlife highly, and protect the habitats that we have created within Wombat Bend; our bird register lists over 100 species, resident and visiting; we have numerous marsupials (wombats, possums, gliders), and nine species of microbats; our frog population is amongst the highest recorded for the Yarra Valley. Our passion extends to a deep understanding of Australia's flora, and the many eco-zones across our continent. We try to live lightly and carefully in all we do, and in what we create. We see ourselves as custodians, with a responsibility to care for our planet .... and it is wonderful to know that our guests share the same values. It is a privilege to offer our sanctuary to others to enjoy. 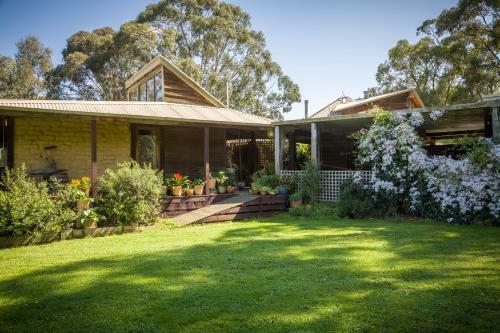 The Burrow at Wombat Bend is central to everything that makes the Yarra Valley the world famous destination that it is. 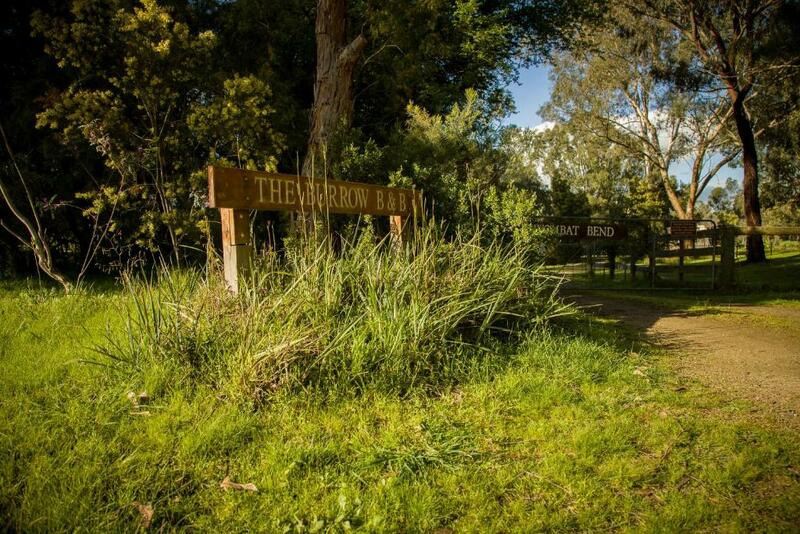 Our wineries and cellar doors, restaurants and farmers markets are amongst the best in the world, and the natural environment that surrounds you at every turn will refresh your spirit and your soul. Our world class Healesville Sanctuary is the go-to destination for Australia's wildlife, not to be missed. Close up encounters with wombats, koalas, kangaroos, platypus, Tasmanian Devils and all manner of glorious birds will deliver memories for a lifetime. Exciting galleries present sculpture, painting, pottery and ceramics, glass and fine jewellery; artisan markets abound in which you can purchase unique beautiful handcrafted treasures. Indigenous art is presented in local galleries for viewing and purchase. For the nature lover, bush walks and skiing, wildlife tours, gardens, lakes and forest parks are easily accessed, along with horse riding and mountain bike riding & canoeing for the active outdoor person. Most of all, you will be immersed in a world that is distant from busy cities and highly pressured life styles. You'll breathe again. House Rules The Burrow at Wombat Bend takes special requests – add in the next step! The Burrow at Wombat Bend accepts these cards and reserves the right to temporarily hold an amount prior to arrival. Please note that there is a 4% charge when you pay with a Visa or Mastercard credit card. Please inform The Burrow at Wombat Bend of your expected arrival time in advance. You can use the Special Requests box when booking, or contact the property directly using the contact details in your confirmation. No fireplace. No bathtub. But it is still a magical place to stay. Fantastic location in the heart of the Yarra Valley close to wineries. Rustic & homely, relaxation personified!